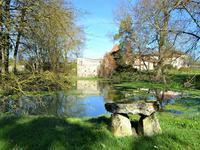 Beautiful stone property comprising: house, gîte, barn, hangar, pond and land. All amenities 3km. 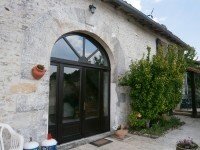 This charming property offers a renovated 2-bedroom house, a barn/gîte to finish converting, . . . This pretty family house with 4 bedrooms, outbuildings and a lovely swimming pool on a 5600m2 . . .
A bijou of a property, private but not isolated (edge of village) landscaped garden with water and pool designed around central pool with fountain. This property is special, all on one level with generous proportions, gorgeously luminous and . . . The two bedroomed owners house is well laid out with open plan kitchen/living room a ground . . . Pretty House with barn and 5 000m2 of the garden, aminties on 5km. Charming property offering 3 bedrooms (one ensuite on the ground floor), kitchen/dining-room, . . .
Beautiful 150m2 floor barn with attached garden close to Villebois-Lavalette with all its amenities. In a small quiet village,on a dead-end lane, this beautiful stone building with its attached . . .
Superior barn conversion with excellent proportions, situated in the centre of an historic village. Beautiful view of the Chateau. A stunning barn conversion of an excellent size, situated in the centre of the historic . 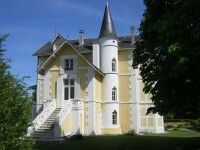 . .
Lovely stone property comprising: house, gîte, terrace and garden, bar on walking distance. This charming property with land offers two houses, perfect for two families or a house . . . Perfect country retreat in the middle of the French countryside. Well insulated, . . .
You can equally run this as a family home or as a gite/b&b.....gorgeous location in a . . .
Property to be renovated to make an investment rental or a bolt hole in the . . . Perfectly habitable house while decorating/updating. Courtyard of 47.62m2 Entrance hall . . .
Possible to incorporate the old buildings already there or start from scratch....why not . . .
Large renovated village property, with barn, terrace and land, near Villebois-Lavalette, all amenities at 2km! Charm and space for this house offering 200 m² habitable space including: living-room, . 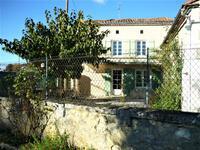 . .
Good condition and character for this house which offers a commercial space of 90m2, an . 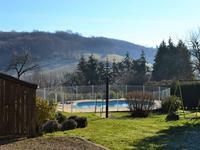 . .
Beautiful renovated farmhouse with swimming pool, outbuildings, land, and views over the countryside. This renovated property offers many possibilities of evolution in its outbuildings. The . . . 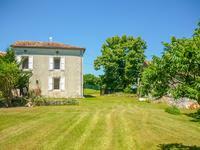 Pretty house with outbuildings and pleasant garden with views, very close to Villebois-Lavalette. Stone house offering : entrance, kitchen, living/dining room, bathroom, shower room with wc, . . . Pretty old renovated building on three levels, with shop, appartment, outbuildings and courtyard, in the center of a pleasant little town. This nice town house of 220m2 , recently renovated, offers: a shop on the ground floor, an . . .
Amazing setting for this beautiful lake with surrounding land. Absolutely gorgeous setting for this lovely property. Totalling approximately three acres, . . . 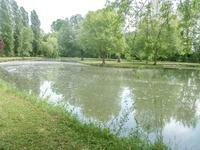 This lovely renovated house is located in a peaceful setting, 25 mns away from Angoulême and . . . 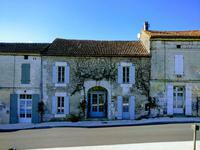 Pretty stone house with land located near Villebois-Lavalette with all its shops and services. House with two bedrooms, study, kitchen, living room with fireplace, W.C, bathroom, partly . . .
Large lounge/dining room, office, kitchen, barn with utility area. 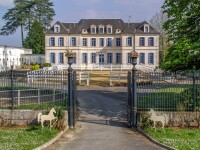 Full of character and a . . .
A Fairytale Chateau for sale in the Dordogne with a small lake and a three bedroomed house. The style is utterly charming and the price includes a three bedroomed house just along the . . .